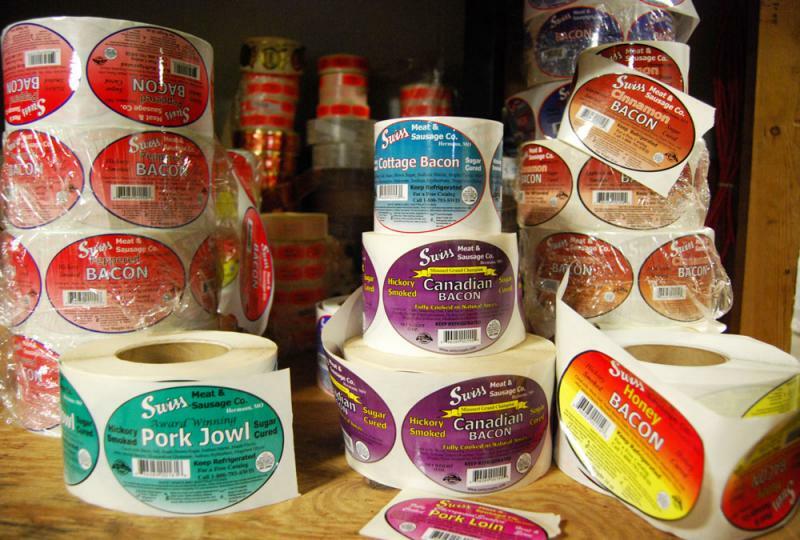 Labels at Swiss Meat and Sausage Co. near Hermann, Mo., do not indicate if products contain genetically modified organisms. 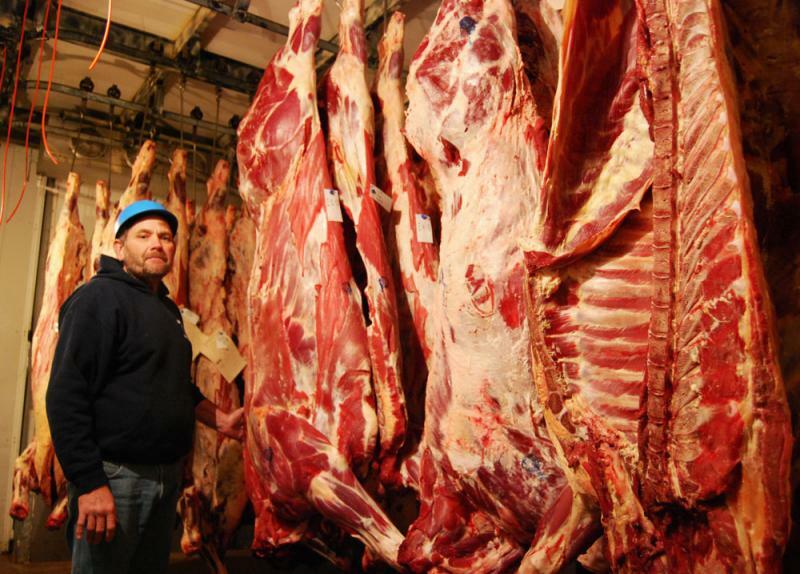 At Swiss Meat and Sausage Co., production manager Glenn Brandt steps into a 34-degree Fahrenheit cooler where 700-pound cow carcasses hang from meat hooks to dry. 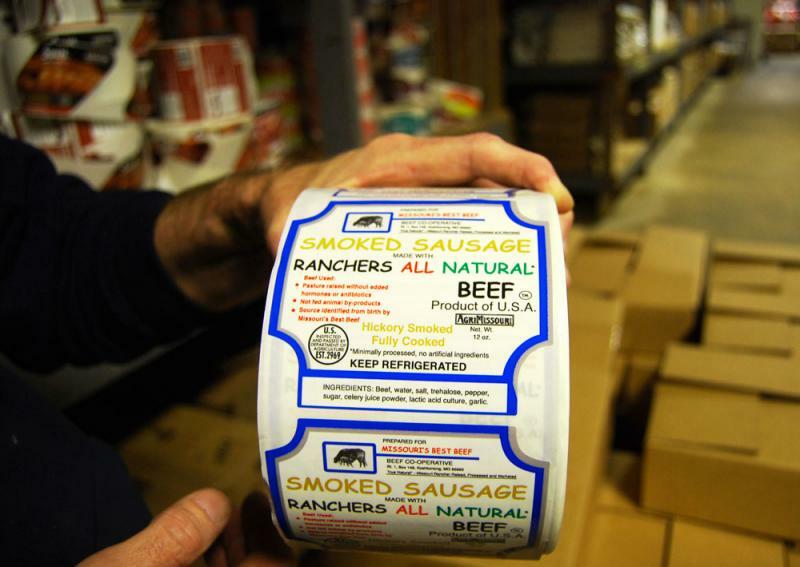 In the company's packaging room, Brandt reads from a hefty roll of hickory smoked beef sausage stickers: “No antibiotics added, raised without added hormones, all natural, minimally processed." Swiss Meat customers may not be asking for GMO labeling but polls show over 90 percent of Americans are interested in knowing if there are GMOs in their food. 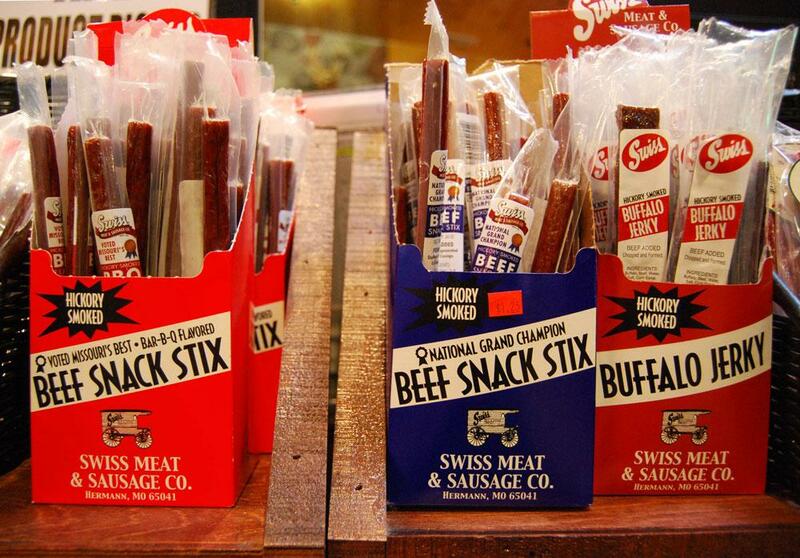 The company processes 2 million pounds of meat a year -- from beef to pork to buffalo to deer. Just south of Hermann, Mo., Swiss Meat and Sausage Co. processes 2 million pounds of meat a year -- everything from cattle to hogs to buffalo to elk. And everything gets a label. “No antibiotics added, raised without added hormones, all natural, minimally processed," Glenn Brandt, the production manager for Swiss Meat, reads from a hefty roll of hickory smoked beef sausage stickers. 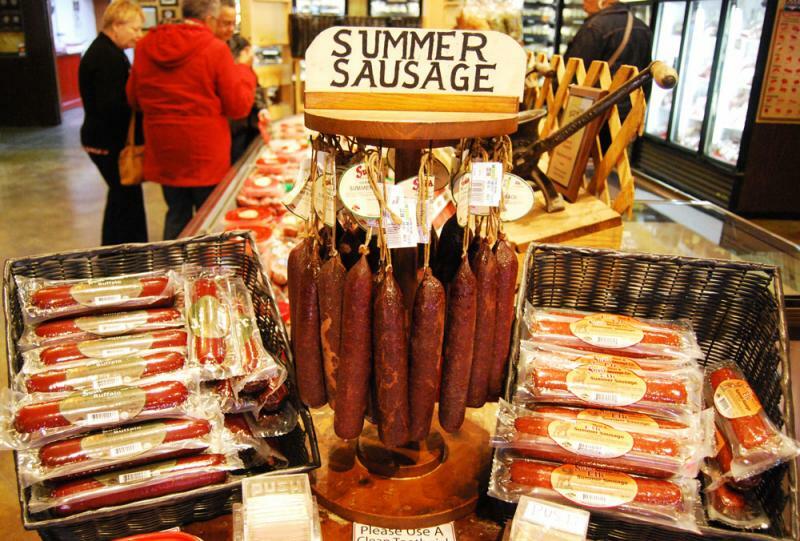 What this label does not indicate, however, is whether or not the sausage contains genetically modified organisms, or GMOs. “The Non-GMO label is such a gray area as far as labeling -- what you can say and what you can’t say,” Brandt said. But that gray area is quickly becoming more colorful. Earlier this month, Whole Foods Market announced that by 2018, all products in its U.S. and Canadian stores containing genetically modified organisms will be clearly labeled as such. The grocery chain has been labeling thousands of products as non-GMO for years now and says its decision to expand this labeling is a reaction to customer requests. But it’s not just Whole Foods customers who are asking. A 2010 Thomson Reuters survey found that 93 percent of those polled want to know if their food is genetically engineered. 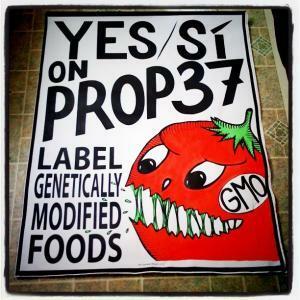 Last November, the GMO labeling debate made headlines when voters narrowly cast down Proposition 37, a California ballot initiative that would have required labeling on products made from plants or animals with altered genetic material. The defeat of Prop 37 has now spurred action elsewhere. Laws and ballot initiatives for mandatory labeling have been proposed in more than 20 states, including Missouri, Iowa, Illinois, Minnesota and Indiana in the Midwest. This is no small matter. Much of what’s sold in the grocery store -- from corn flakes to ice cream to hot dogs -- contains GMOs because of the pervasiveness of genetically modified corn and soybeans. 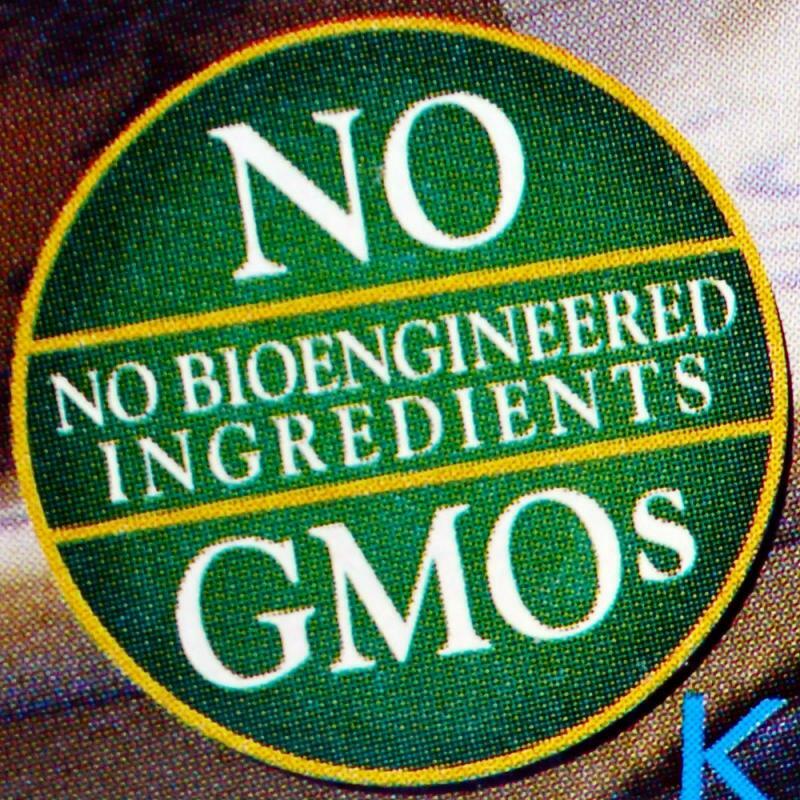 Currently, only Alaska requires labeling of genetically engineered food for human consumption – specifically, fish and shellfish, even though the Food and Drug Administration (FDA) has not approved such products. In the Midwest, Food and Water Watch is working actively in Iowa and Illinois where it’s been proposed that products be labeled if they contain more than 1 percent of genetically-modified ingredients. In Missouri, state Sen. Jamilah Nasheed introduced a bill that would require poultry and fish produced and sold in the state to be labeled if created through genetic engineering. Call it a pre-emptive strike. While there’s no such meat on the market for human consumption, the FDA is currently considering whether to allow the sale of genetically-engineered salmon. Food and Water Watch believes all GM foods should be labeled because, the group says, they’re largely untested and therefore could be unsafe. But Steve Taylor, president of the Missouri Agribusiness Association, which represents 400 state businesses, disagrees. Taylor said GMO labeling would add significant costs for companies along the food chain. The Grocery Manufacturers Agency, a trade group that represents food-manufacturing giants such as Pepsi, Nestle and Kraft, says that food labels should be reserved for critically important food safety and nutritional information to help consumers make safe and healthy food choices. That’s also the position of the Biotechnology Industry Organization, whose members include the biotech companies Monsanto and DuPont. The industry group, which fought against California’s Prop 37, is not lobbying against any GMO labeling laws in the Midwest yet but says it will if the efforts pick up speed. 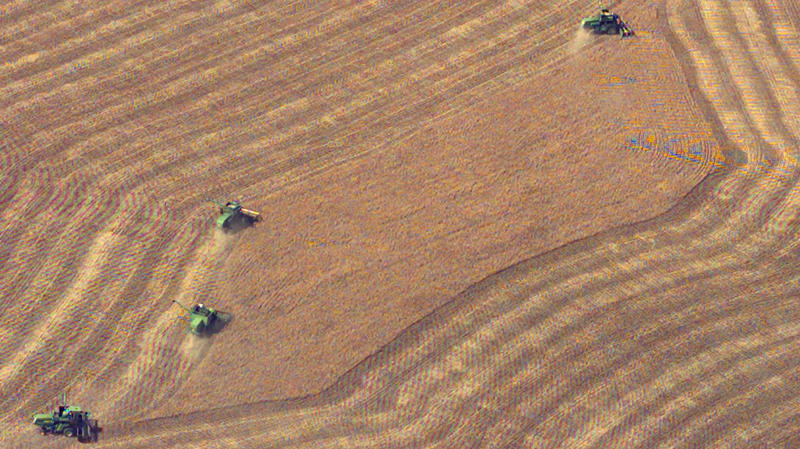 But could GMO food labeling laws even pass in the Heartland? Hank Greely, the director of the Stanford Law School Center for Law and the Biosciences, said he would be surprised if GM labeling laws passed in the Midwest, given the large percentage of U.S. soybeans and corn grown in the Midwest and grown with genetically modified seeds. Even if states do pass GMO labeling laws, he said, the Supreme Court could overturn them. “The food companies and the farming groups would immediately go to federal court and claim these laws violated constitutional rights of free speech of the companies forced to put labels on,” Greely said. In the meantime, U.S. Reps. Jared Polis of Colorado and Peter DeFazio of Oregon are expected to introduce a federal bill in the next few weeks that would require the labeling of genetically modified food. And the FDA has extended its public comment period on the sale of genetically engineered salmon through the end of April. That means this food labeling controversy may escalate from state-by-state skirmishes to one big national battle. Last November, the GMO labeling debate made headlines when voters narrowly cast down Proposition 37, the California ballot initiative that would have required labeling on products made from plants or animals with altered genetic material. Yet, the defeat of Prop 37 has spurred action elsewhere. Laws and ballot initiatives for mandatory labeling have been proposed in more than 20 states, including Missouri, Iowa, Illinois, Minnesota and Indiana in the Midwest. Map by Scott Pham and Jesse Markway/KBIA. Data: State legislatures and Just Label It. When legislation mandating genetically-modified food labels was proposed in California, Oregon and Washington, I wasn't necessarily surprised. But the recent news that GMO labeling is being considered in Missouri was a little bit of a shock. The bill, Senate Bill 155, was sponsored by a Democratic senator from St. Louis named Jamilah Nasheed. If passed, it would go into effect on Sept.